One way to overcome the interoperability problem and too much in the EHR? Get rid of those pesky backlogged patient records! The Daily Caller uncovered a VA whistleblower’s complaint to the VA’s Inspector General and their office of special counsel, plus Congress, that VA officials in Los Angeles intentionally canceled backlogged patient exam requests going back more than one year–and that the delay on exams went back 6-9 months. The deletions started in 2009. There is a wrongful dismissal (of said whistleblower) suit and other joy. Article, audio (02:21) Updates 3-4 March: according to Under Secretary for Health Robert Petzel, the Daily Caller report was ‘scurrilous’. He stated that about 300 records were closed but not deleted after administrative review, generally for old imaging requests, and there was no effort to delete records to boost performance. According to FierceHealthIT, the backlog is about 400,000. Also Military Times. According to EHR Intelligence, both DoD and the VA agree with the GAO recommendations; GAO will update its findings once the agencies have taken action. Also iHealthBeat. A year on, the Health and Community Services Committee of the Queensland Parliament has opened an inquiry into telehealth services in the public sector health services in Queensland. The inquiry will consider the implementation of telehealth by the Department of Health and Hospital and Health Services, including the Rural Telehealth Service that was announced in the Blueprint for better healthcare in Queensland. The committee will examine trials, pilots and other sites, consider the value for money of the delivery of telehealth services, examine the factors that support successful implementation of telehealth services, identify any barriers to successful implementation and consider strategies to address such barriers. The committee intends to visit some rural and regional telehealth sites and hold public hearings in Brisbane and other locations. The committee will receive an initial public briefing from the Department of Health on Wednesday 5 March at 11.00am in Brisbane. The briefing program is available here. This public briefing will be broadcast live via the link http://www.parliament.qld.gov.au/work-of-committees/broadcast-committee/live, and a transcript of the briefing will be published here when available. Changes afoot at Aetna’s Healthagen? Recent rumors predicted changes at Healthagen, the rebranded ‘Emerging Businesses’ unit of health payer giant Aetna, and that these would be apparent at HIMSS14. Mobihealthnews attempts to ‘Sovietologize’ Aetna chairman Mark Bertolini’s appearance (sponsored by Healthagen, not Aetna) and what products were included in the Healthagen (not Aetna) show floor display. First, the booth: only Accountable Care Solutions and health info exchange Medicity were featured. Former star iTriage (the original Healthagen product) was relegated to a distant booth. The much-touted CarePass consumer wellness platform? Absent. InvolveCare, the Healthagen caregiver app introduced last fall? Announced to be discontinued 28 April. In the true tradition of Sovietology, omissions are as apparent as inclusions. Second, the keynote: oddly, there are no content points cited from Mr. Bertolini’s speech in Mobihealthnews. We turn then to the Dan Munro in Forbes article, where Mr. Bertolini calls for the ‘creative destruction of healthcare’, a stock rallying point since 2009 (Yes, it doesn’t work. No, it’s not sustainable. It’s an iron triangle. Etc.) The bottom line was his announcing that Aetna’s business going forward would be ACOs and “driving a consumer healthcare experience.” Hopefully that will mean access and quality for the rest of us. Will Healthagen CEO Charles Saunders be part of leading the charge? Not a mention. One could say that the Magic 8 Ball says ‘cloudy’ for the present situation at Healthagen. Perhaps more changes will be revealed in coming weeks. Verizon received a second FDA clearance for its health management software platform, and added blood glucose management monitors Telcare and Genesis Health as part of it. The first clearance, according to Mobihealthnews, covered five telehealth devices from Ideal Life. Verizon’s intentions are to ‘white label’ market the system to providers who plan to use personally gathered telehealth as part of a patient management program in integrated delivery networks (IDNs), where it is currently in trial–plus health plans and self-insured employers. Verizon’s platform also has ‘gamified’ educational and motivational functions, including its own virtual currency for rewards. If this is proven in the US, will this be marketable in the UK and EU–and will Verizon go it alone or seek partners? Hat tip again on the story to reader Mike Short via Editor Charles. Operational Effectiveness: Solutions that address the financial, compliance or operational needs of a healthcare organization. Clinical Effectiveness: Solutions that address the care delivery and clinical effectiveness for a patient. Consumer Engagement: Solutions that empower consumers to make better healthcare decisions. Finalists attend not only a dinner, but also for the first time this year a private business review session. Online applications can be accessed at the TripleTree and Wireless-Life Sciences Alliance websites along with a $195 fee. Registration for the conference is here. Hat tip to Editor Charles and reader Mike Short. Despite being in a rather ‘non-buzzy’ area of telehealth, the investment attracted the interest of some major players. VRI was assisted in evaluating its options by well-known digital health financial advisor Triple Tree; legal counsels were McDermott Will & Emery for VRI and Alston & Bird LLP for Pamlico. 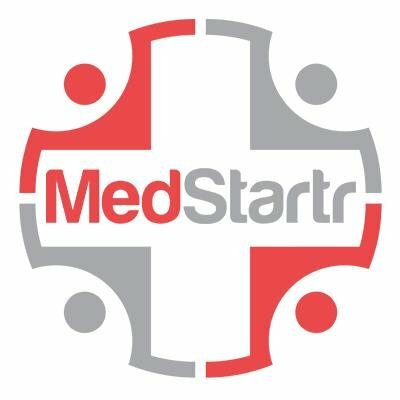 Pamlico specializes in the ‘middle market’ and has previously invested selectively in mid-sized healthcare providers such as Greenway (EHR), Healthcare First (home health software) and Physicians Endoscopy (surgical centers). Overall, and interestingly, this appears to be a positive, long-term vote for telehealth and medication monitoring, as well as for the viability of traditional medical alerts and some of the patient engagement/hospital readmission reduction models VRI has been developing with major payers such as Humana. Pamlico Capital release, Triple Tree release. Eric Dishman of Intel’s Health & Life Sciences Group credits genomics with changing the course of treatment for his life-threatening cancer about two years ago. With new treatment based on his genomic sequencing, he became cancer-free in three months and eligible for a kidney transplant, which he received in early 2013 from, as it turned out, a fellow Intel-er [TTA 12 Apr]. His keynote at HIMSS14 was about what he calls ‘N=1″ personalized medicine, which is based on three Bs plus one: body, biology and behavior, plus beliefs. Dishman also recounted a story around the original Intel Health Guide of a woman caregiving for a mother with Alzheimer’s whose diabetes worsened because she could not make clinic visits; with the addition of remote monitoring to the care plan this was reversed. No mention of Care Innovations (the Intel-GE JV), but he presented the Sotera Wireless ViSi Mobile wireless patient monitor as an ‘ICU on a wrist’ (Intel is an investor). Neil Versel reports in MedCityNews. More on the data analytics and integration behind genomics from an unexpected source–the chief medical officer of Northrop Grumman. If like Editor Donna, you had no idea that this company had a footprint in healthcare, prepare to be surprised. Thanks to our friends at HITECH Answers. The European Knowledge Tree Technology Group (EKTG) has met periodically since the Ambient Assisted Living Forum in Odense in 2010. Recent meetings include sessions at AAL 2013 in Sweden. It is an ad hoc high level group drawn from across technology, finance, service, policy and innovation sectors. It has drilled into the barriers and drivers around mainstream market uptake of independent living services. How does technology and care procurement take place? How do we educate the people who need it? How do we pay for what’s needed? What are the costs and systems of care? What can technology do for: Heart Disease, Mental Health, Sensory Deficits? How can we transfer technology from field to field, nano to macro technologies? Legal, ethical, and regulatory issues – do you meet them? If the power goes off, do services work? The Group aims to bring together key players from user groups, industry, finance, public and private stakeholders, policy makers (and, as they say in their blurb, YOU…). To join those key players, click here. 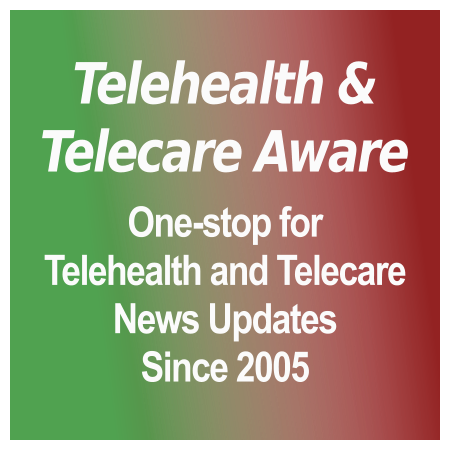 [grow_thumb image=”http://telecareaware.com/wp-content/uploads/2014/02/gear-2-neo-620×554.jpg” thumb_width=”150″ /]Is there an untapped mHealth business model here? Easy to use tools for health–and fall detection–baked into a mainstream phone and a fairly attractive smartwatch. There’s plenty of health and safety functionality for all ages built into both. What’s the missing link? Here’s a thought. A manufacturer/wireless JV or subsidiary which targets the health monitoring potential of these devices to create a separate revenue stream. The ‘risk’ could be spread to resellers allowed to creatively adapt devices like the Gear for older adults in independent and assisted living environments, or for autistic/at-risk children. This is not an inconsistently supported AT&T ForHealth [TTA 5 Feb] or a failed Lifecomm [TTA 14 Oct 13], but an entirely different business model. Reader thoughts? Update 28 February: The Galaxy S5’s heart rate sensor may make it a medical device in the eyes of South Korea’s health agency, forcing the phone to be regulated and reviewed in the ROK before its 11 April worldwide release. FierceMedicalDevices. Hat tip to @DrDave01 (Dr. David Albert of AliveCor) and David Doherty of @mhealthinsight via Twitter. Establishing Telehealth in an institution, published this month in the Internal Medicine Journal, is the title of the fifth and latest in the Practical aspects of telehealth series of papers. According to the abstract the paper describes the development of a large teleoncology network over a vast geographical area in North Queensland, Australia. The authors propose that the workforce, funding and infrastructure at rural sites, as well as the traditional mindset of healthcare professionals are key barriers to successful implementation of telehealth programmes. In the case of the Queensland teleoncology network, the rural hospital at Mt Isa, 900 km away from the central site, has been continually enhanced over a 5- to 6-year period. The success of the scheme is credited to these helping to overcome usual barriers. Reader Andrew Macfarlane, Commercialisation & Centre Manager, CASALA at The Netwell Centre of the Dundalk Institute of Technology, stepped forward to report on this past Wednesday’s Summit. (Please note the excellent cross-references for those who may not be familiar with Ireland-specific programs.) Many thanks Andrew from Editors Toni and Donna! The 10th National Health Summit, which took place in Dublin, Ireland, saw a good attendance and an impressive range of speakers. The event is primarily targeted at decision-makers involved in leading and managing the delivery of healthcare services in Ireland. The morning session outlined the changing landscapes of healthcare delivery both in an Irish and International context. Next up, separate tracks covering Health Insurance (as the Irish government seeks to introduce Universal Health Insurance), Hospital Management & Digital Healthcare (the primary topic covered by this post). The final session covered helping patients stay healthy at home and an insightful panel discussion on reform of the health service. Tony O’Brien, Director General of the Health Services Executive (HSE) provided the opening address, entitled “Choices for our health service”. The HSE is a large organisation of over 100,000 people, whose job is to run all of the public health services in Ireland. He highlighted that like most health care systems, they are facing rising demand and costs (current budget €13.6bn), and that at the same time has endured significant health budget cuts, 26% since 2008, with €600+m planned savings in 2014. The annual National Service Plan sets out key priorities. Key takeaway from a digital health point of view is the policy aim of A New Model of Care Treatment at the Lowest Level of Complexity that is Safe, Timely, Efficient and as Close to Home As Possible. The HSE envisages transforming from an industrial age healthcare to information age healthcare, with cost-effective use of ICT. Challenging perhaps with a historical under-investment in ICT at 0.85% of budget vs EU average of 2-3%, a number of speakers referenced the “Ghost of PPARS” as reason for under investment.